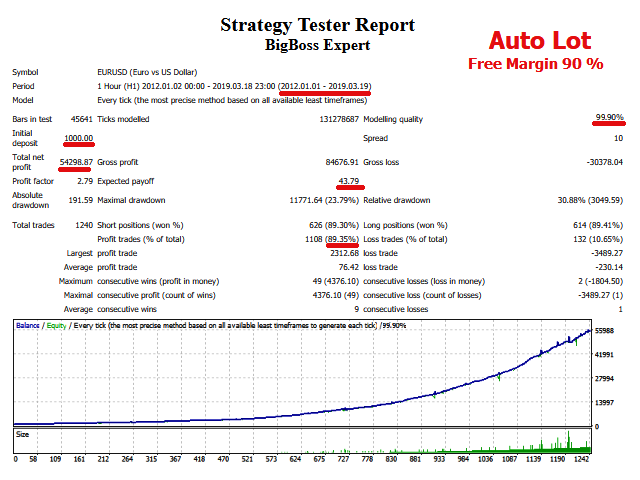 BigBoss Expert is a fully automated Fast Momentum Trading System. 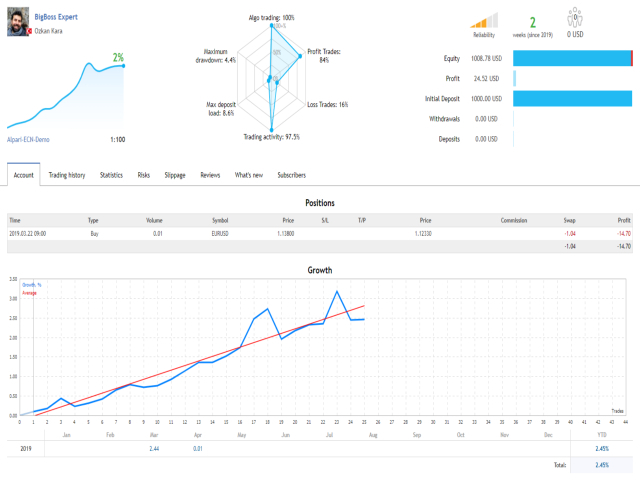 Trend is calculated by special formula using multi timeframe momentum values. It works fine with major pairs. (EURUSD, GBPUSD, USDJPY).